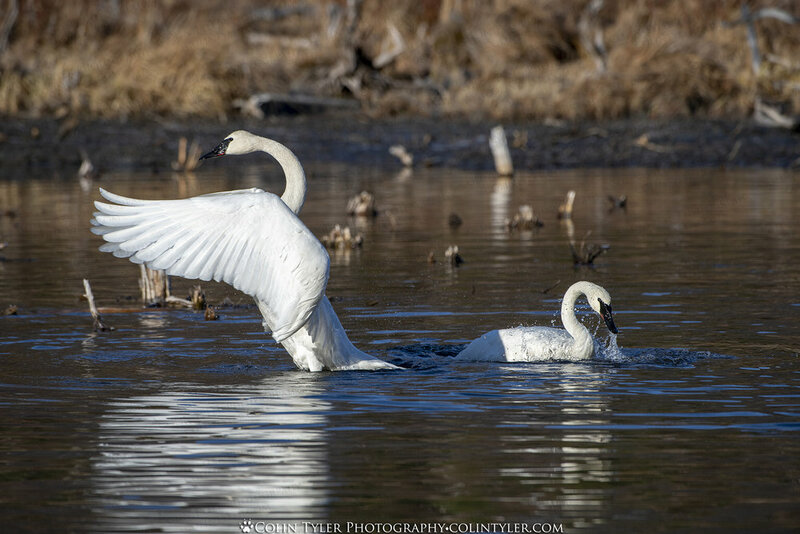 Fun Friday Fact: More than half of North American trumpeter swans breed in Alaska, Northern British Columbia, and the Yukon Territory during summer months. It appears that this pair has left the Nature Center and moved on toward their summer nesting grounds. Typically they stay here from 2-4 weeks and I have to assume it is the same pair that returns each spring. They're always a welcome sight and I look forward to their return next year. Bathing and preening shortly after their arrival two weeks ago.